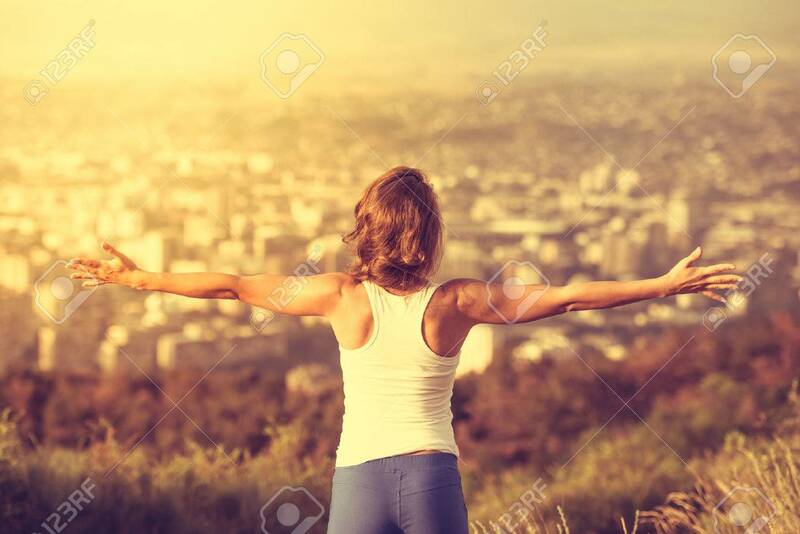 Young Woman Spreading Hands Wide Open With City On Background. Freedom Concept. Love And Emotions, Woman Happiness. Toned Image Royalty Free Fotografie A Reklamní Fotografie. Image 43524495.